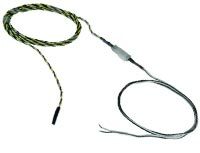 Water sensor cable cannot be in contact with any conductive surfaces or overlap on itself. Plan to use 50 feet or more of water sensor cable? 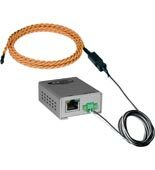 Check out NTIs Leak Location Detection Sensors instead - more benefits for similar price or less! Powered by E-SEMS-16U and SERIMUX-S-x. Requires the E-SEMS-16U and SERIMUX-S-x to operate.
" Use self-adhesive clips (E-CLPxx-LD) to prevent sensor rope cable from shifting after installation. Cables less than 5 ft long: one clip at each end. Cables more than 5 ft long: minimum 5 ft apart.